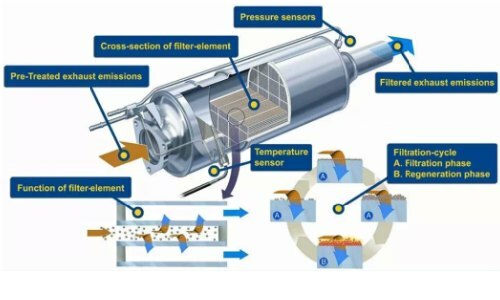 We use a combination of controlled conditions and chemicals to carry out a cleaning operation on the dpf filter.One of the main issues with diesel cars is that with stop start and short journeys the exhaust temperature does not reach a level where the ecu can carry out a regeneration process by altering injection timing and fueling. We carry out the clean with the vehicle under load on our hub dyno at a controlled exhaust temperature level. We then use a combination of a specialist chemical catalyst in the fuel and an additional chemical injected directly into the dpf filter as the operation is carried out. We recommend an annual clean for high mileage vehicles. Don't wait until the DPF light is on the dash as sometimes that can be too late. Please contact us for more information for your application.